We’re delighted to announce that our 2017 trading cards are now available in stores across all 32 counties. 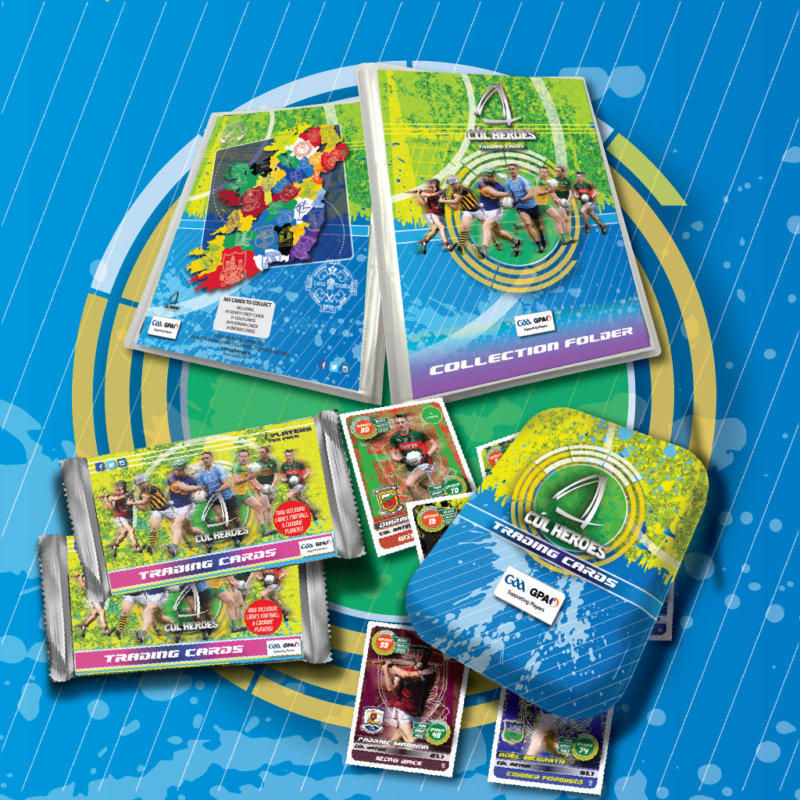 This year’s collection features a mixture of players including ladies football and camogie players, as well as gold, silver and bronze special edition cards. You’ll get seven cards included in each packet. Each packet will contain one special edition card. You can also keep your cards in the Cúl Heroes Collection Folder and Collector Tin. Keep up to date with all things Cúl Heroes by following us on Twitter, Facebook and Instagram or visit www.culheroes.ie.